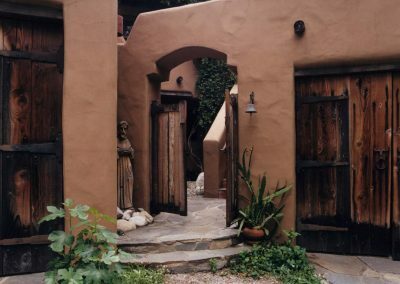 ADOBE DE LA VISTA. 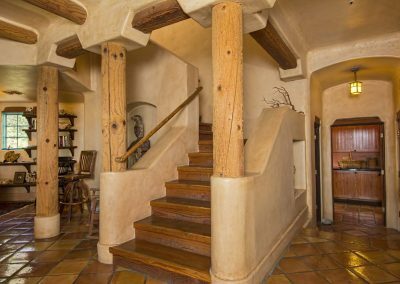 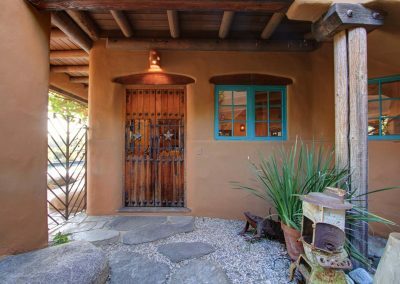 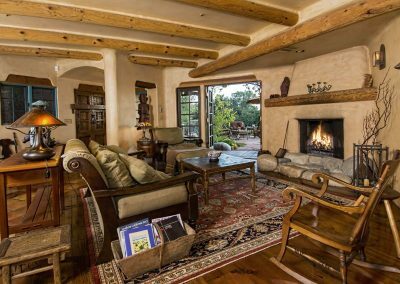 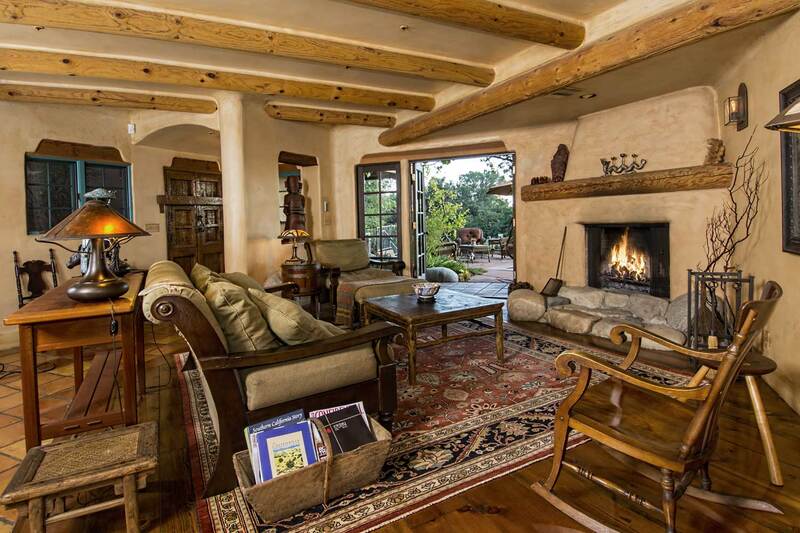 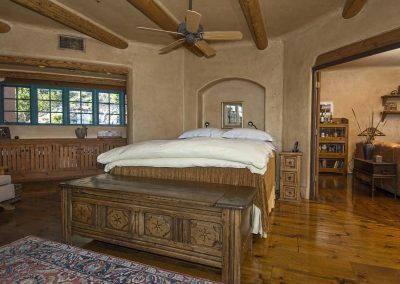 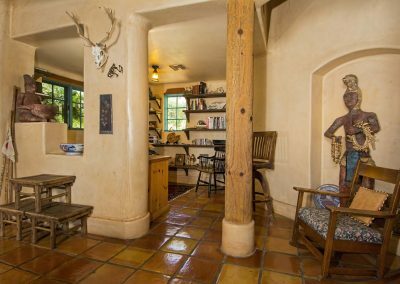 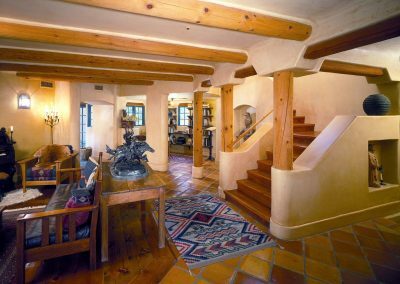 This rustic southwestern house uses reclaimed vegas logs for the structural system and asphalt emulsion mud adobe walls for the finish. 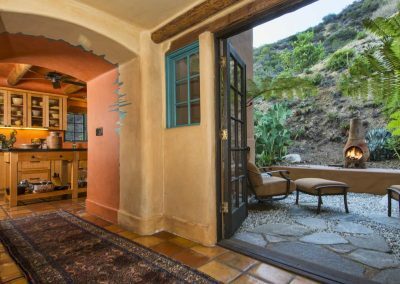 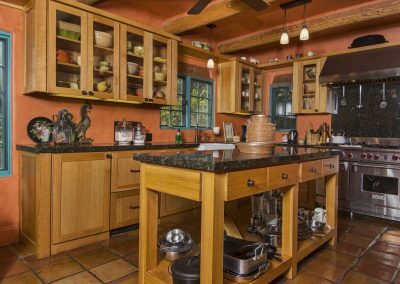 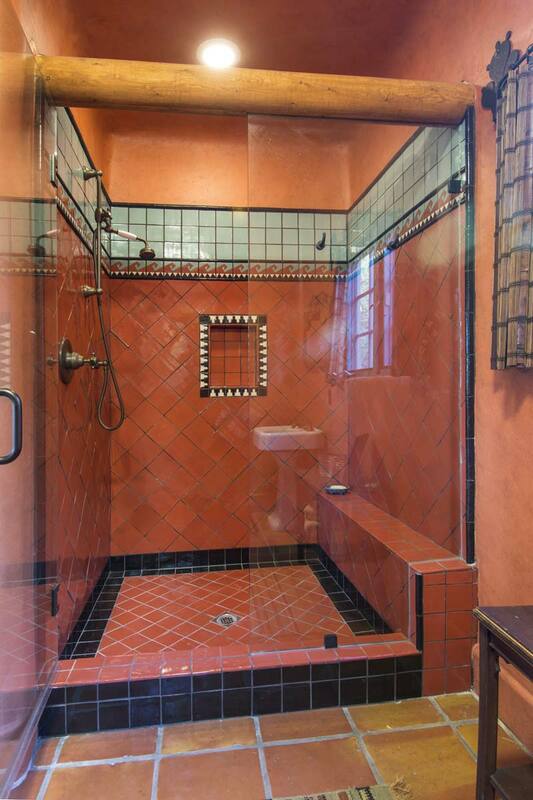 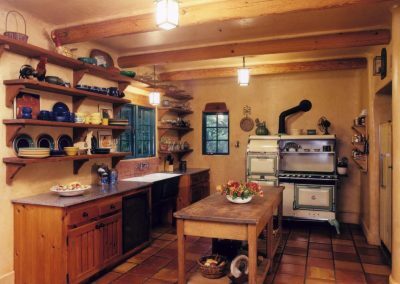 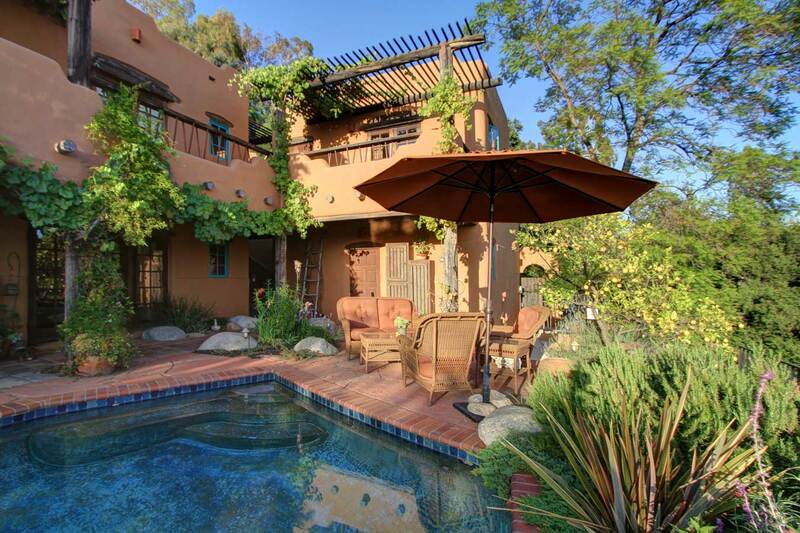 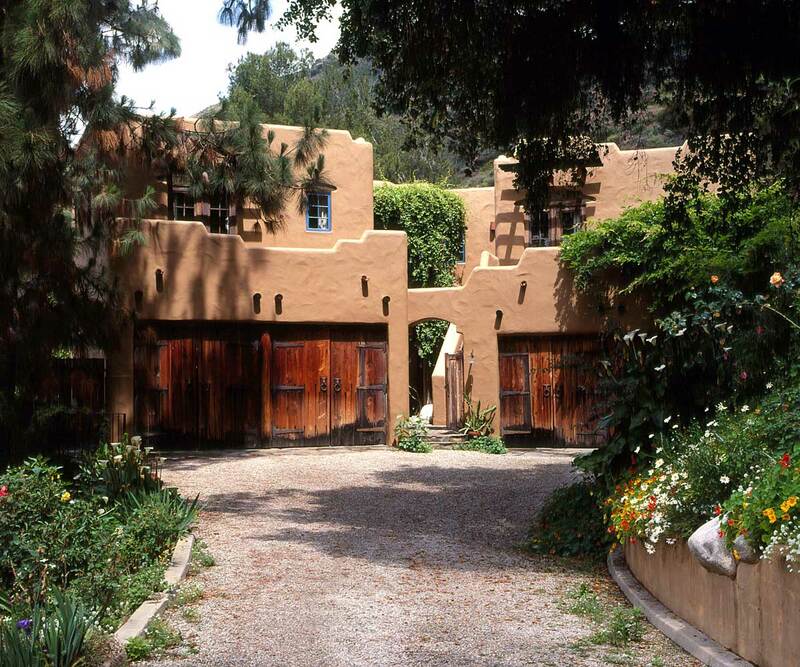 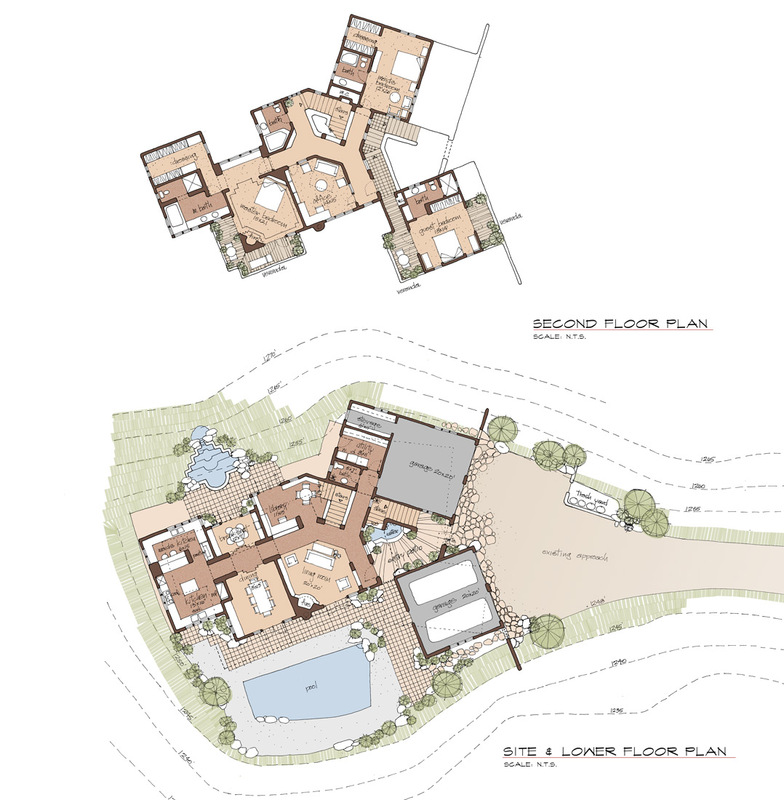 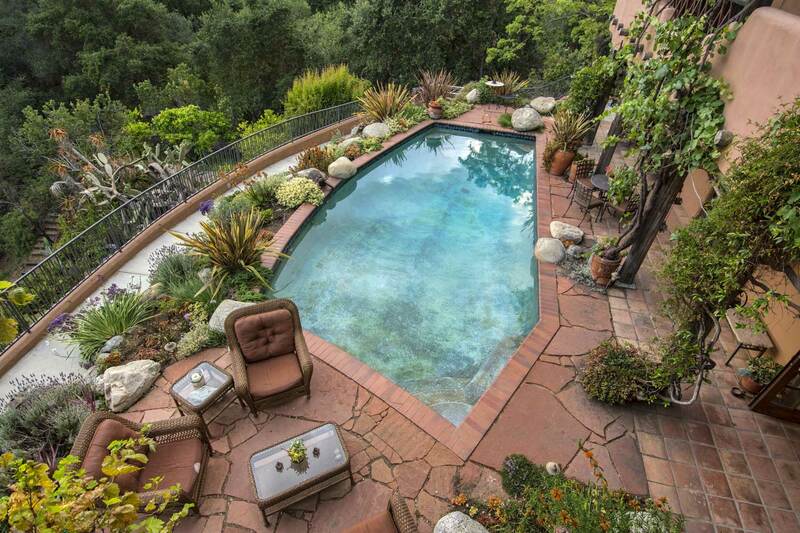 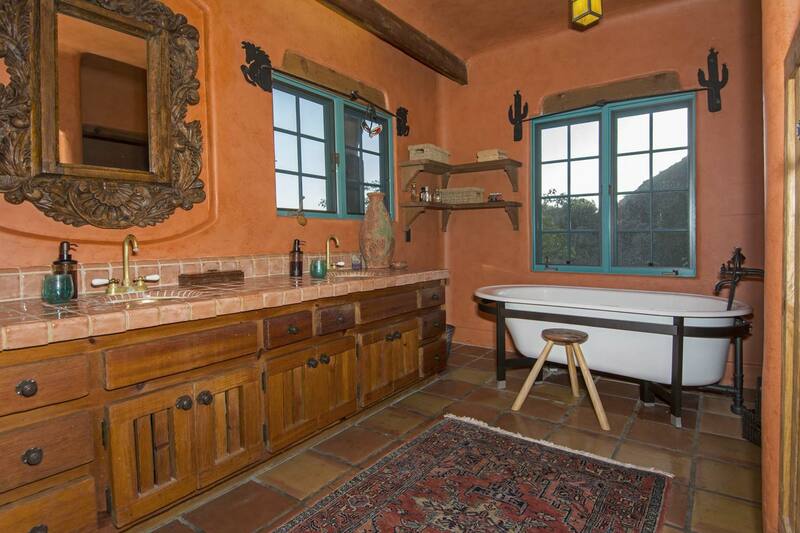 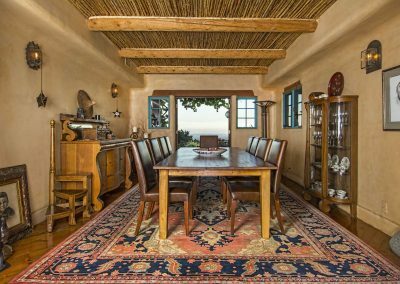 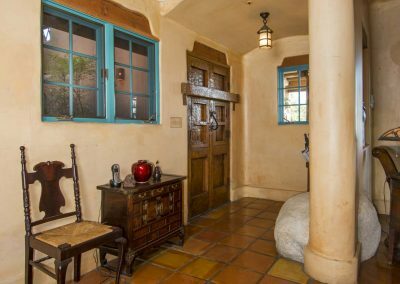 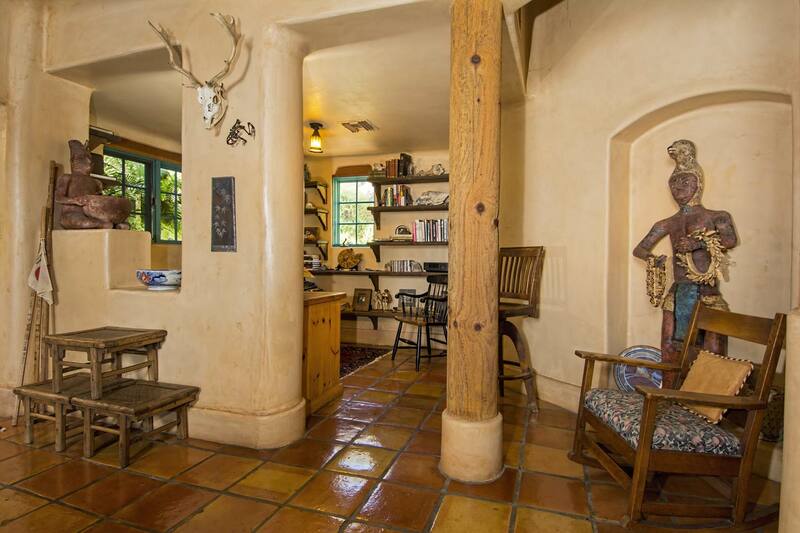 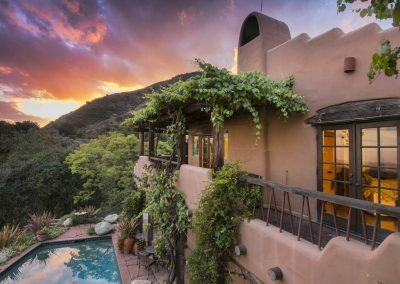 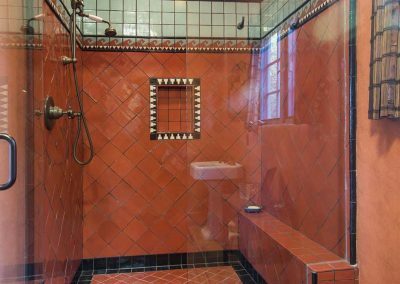 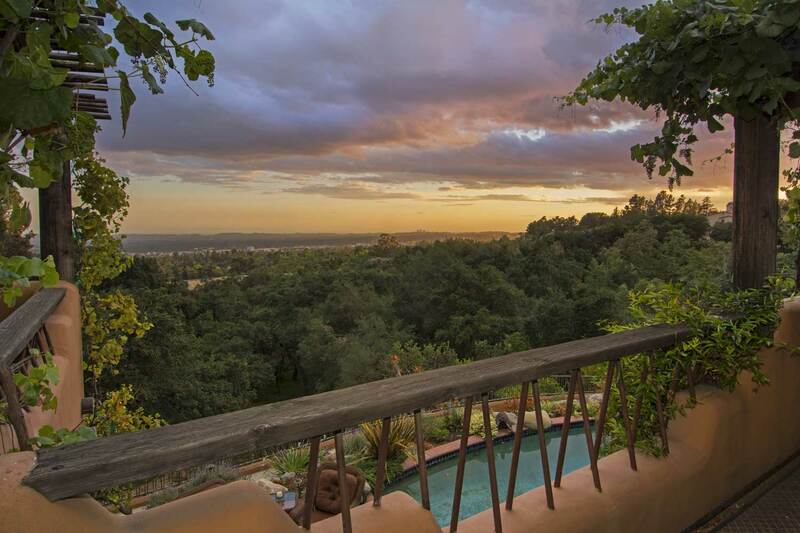 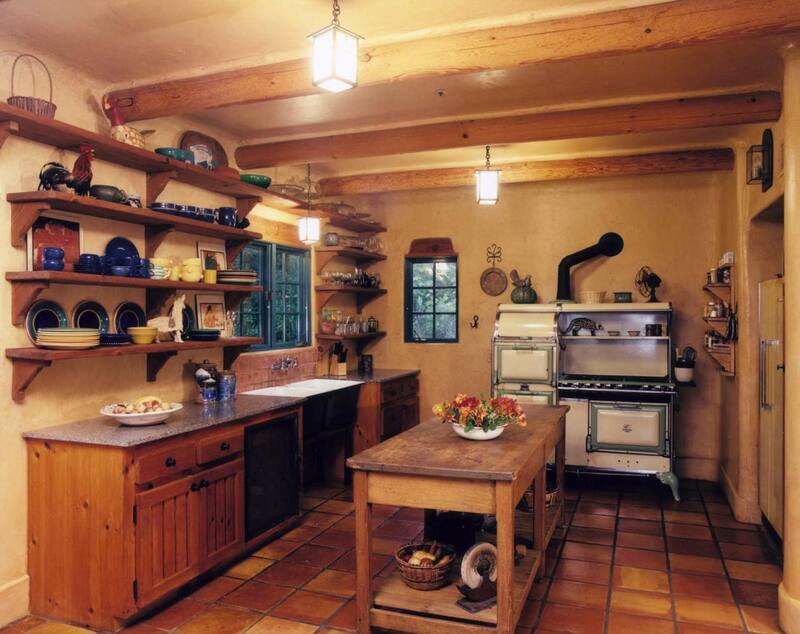 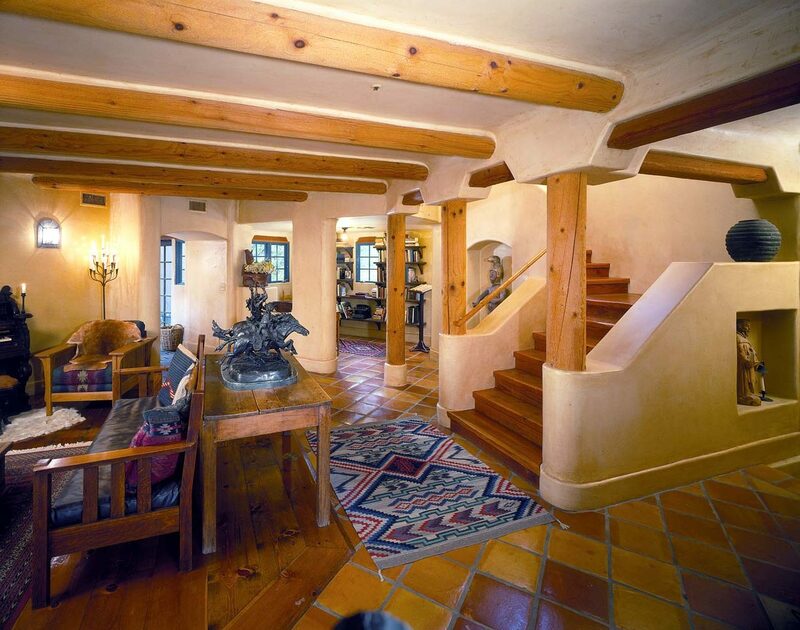 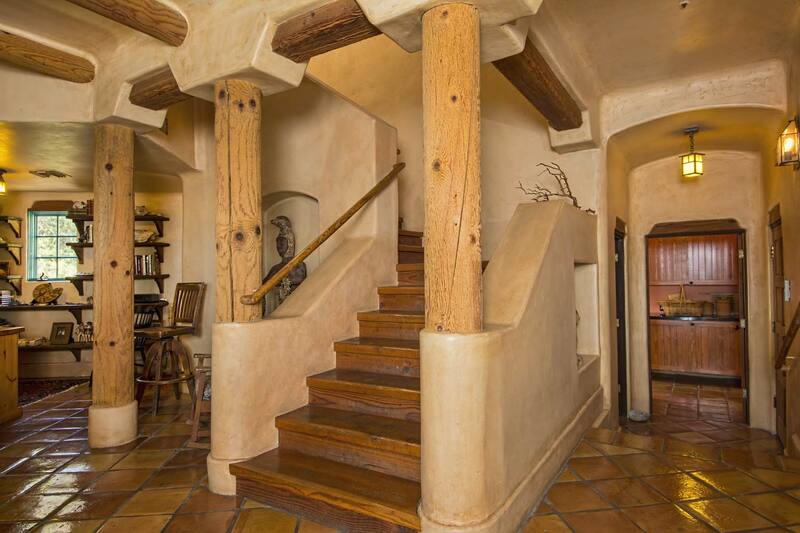 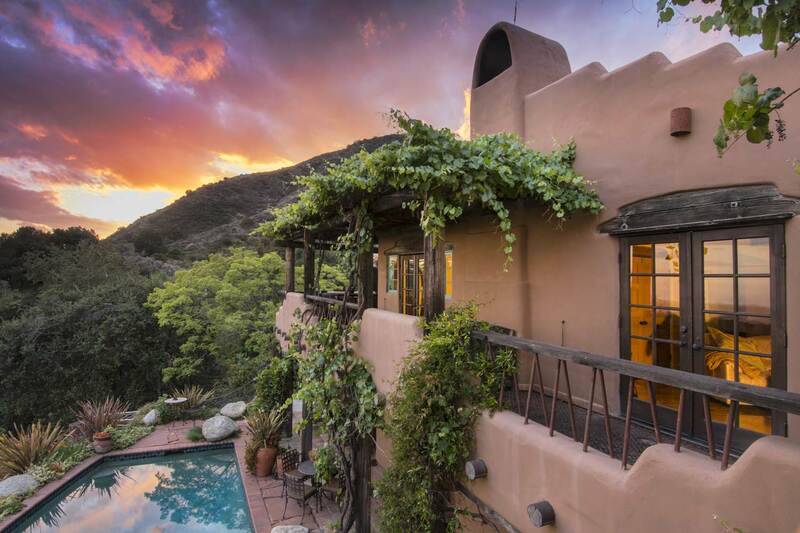 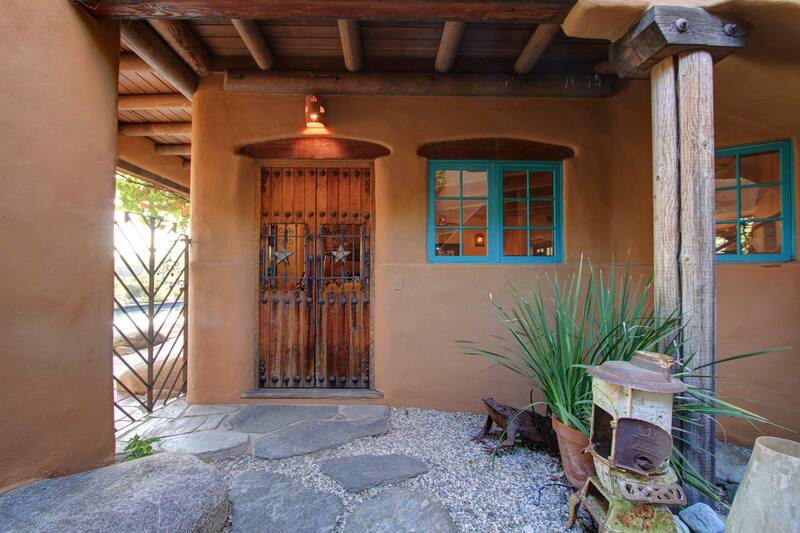 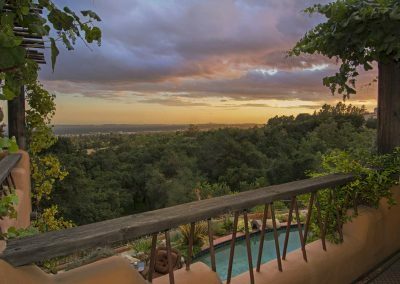 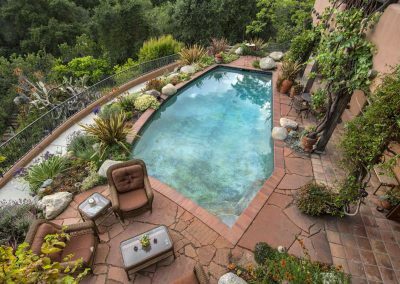 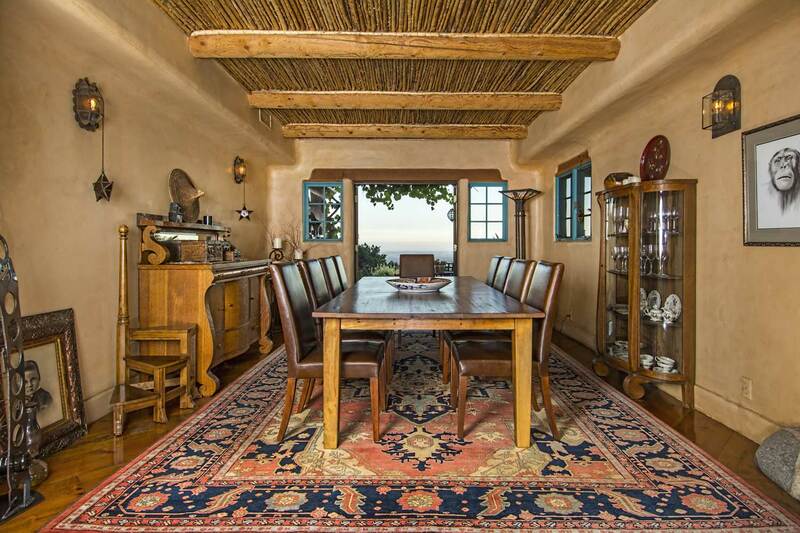 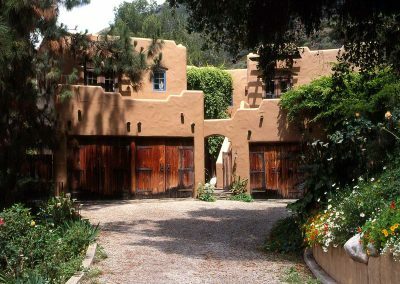 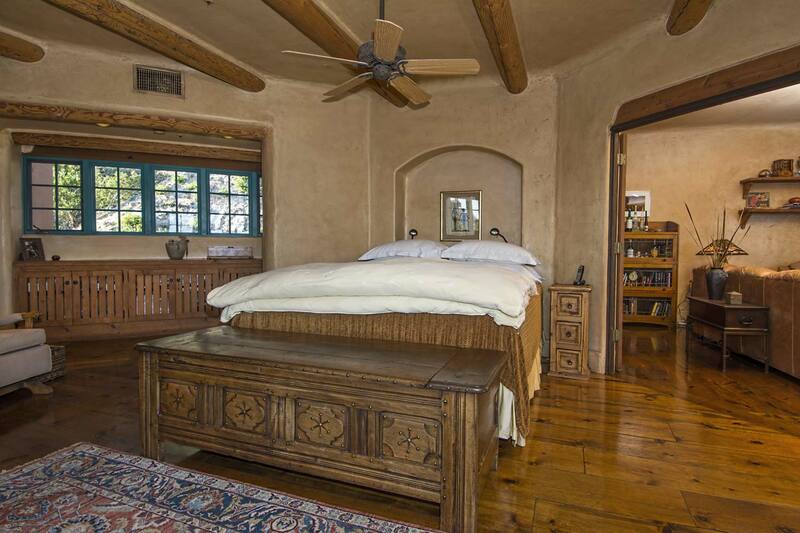 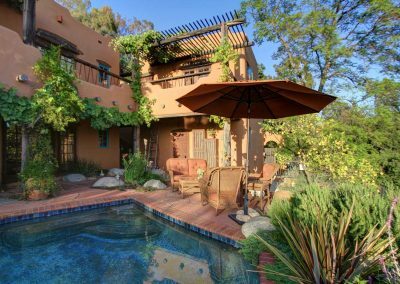 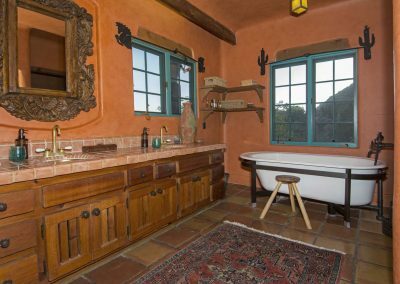 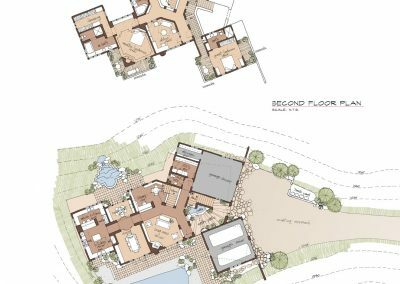 The house is like an adobe village separated into four structures connected by verandas, courtyards and log bridges.